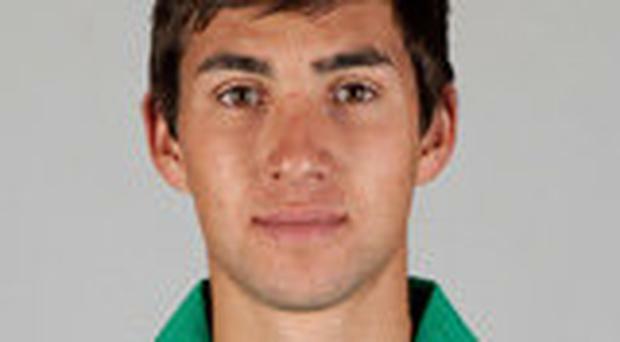 Irish Cup holders Waringstown have confirmed South African all-rounder Corné Dry as their overseas professional for 2019. Dry, a 25-year-old opening bowler who plays for Free State under the captaincy of former Carrickfergus professional Pat Botha, replaces Shaheen Khan, who is unable to return under NCU regulations next season as he is not playing first-class cricket. A South Africa Under-19 international, who played in the team which finished third at the World Cup finals in Australia in 2012 - taking 4-16 against Sri Lanka - he has taken 73 wickets in his 38 List A games at an average of just 20 and an impressive strike rate of one every 25 balls. His best figures are 6-33, one of three five-wicket hauls in one-day cricket. He is a lower order batsman with a top score of 65, his only half-century in 24 innings, but it came during a ninth-wicket stand of 98. Dry is the sixth South African professional who will be playing in the Premier League next season, with only Muckamore (Pakistan) and newly-promoted Lisburn (India) signing players from elsewhere. Meanwhile, Paul Stirling and Kevin O'Brien have arrived in Nepal to take part in the Everest Premier League, the second edition of the Associate nation's Twenty20 League, which starts on Saturday. Stirling will be hoping to make a bigger impression than he did in the recent T10 League in Sharjah - as will O'Brien, who played in only two of his team's eight games - their last international action before Ireland's busy 2019 starts with T20s in February.